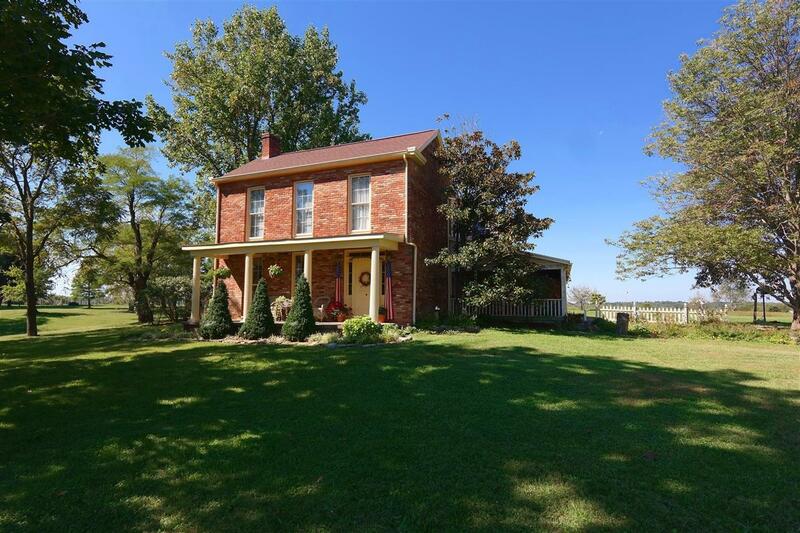 151-year-old brick farm house in excellent condition! Situated on 10.75 picturesque acres fenced on 3 sides. Includes beautiful pond, 70x62 barn, 23x23 workshop, 13x13 potting shed. Home is filled w/ charm and character and features a large family room addition with stone fireplace. Easy access to the highway!